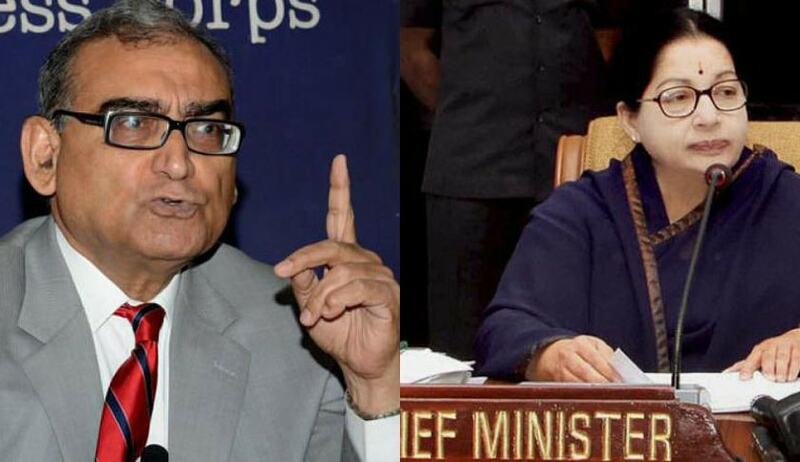 Justice Markandey Katju today said that the President of India should send a warning to Jayalalithaa telling her that she is violating the Constitution, and hence she should release Kovan, who has been arrested for criticizing the Chief Minister Jayalalithaa about sale of liquor, etc, immediately and unconditionally and drop the trumped up charges against him, failing which her government may have to be dismissed. The Tamil singer Kovan has been arrested for criticizing the Chief Minister Jayalalithaa about sale of liquor, etc. But surely in a democracy people have a right to criticize the government. It is not only Article 19(1)(a) of the Constitution but also the International Covenant of Political and Human Rights, which India ratified in 1979, which guarantees freedom of speech and expression. Of course this right, like all rights, is not absolute, but is subject to certain restrictions mentioned in Articl19(2).. But as held by the Supreme Court in Sri Indra Das vs. State of Assam ( see online ) , it is only when there is an imminent threat of violence etc ( the clear and present danger test of the celebrated Justice Holmes of the U.S. Supreme Court ) that the right can be interfered with. What was Kovan's fault ? He had not committed violence or done anything which posed an imminent threat of violence. He had only demanded closing of liquor shops as he thought that drinking of alcohol did damage to society, and had criticized Jayalalitha's government on other accounts. Can one not do so in a democracy ? I am myself not in favour of prohibition, as experience of Prohibition in America in the 1920s has shown it increases crime ( the Mafia ). But surely people have a right to express their opinion. Kovan is still in custody and has not been released despite protests by human right activists in India and abroad e.g. Amnesty Internatiional, Human Rights Watch, etc. What then can be done in this situation ? (b) declare that the powers of the Legislature of the State shall be exercisable by or under the authority of Parliament; "
It is evident that Jayalalitha is not willing to run her government in accordance with the Constitution, because Article 19(1)(a) which guarantees freedom of speech is part of the Constitution. So the President of India can sack Jayalalitha's government under this provision.
" It shall be the duty of the Union to protect every State against external aggression and internal disturbance and to ensure that the government of every State is carried on in accordance with the provisions of this Constitution "
Under this provision, the President can send a warning to Jayalalithaa telling her that she is violating the Constitution, and hence she should release Kovan immediately and unconditionally and drop the trumped up charges against him, failing which her government may have to be dismissed. In my opinion the President should do this immediately. Every moment of Kovan's detention is an outrageous violation of Article 19(1)(a) of the Constitution. If such despotic acts are not nipped in the bud there may be a collapse of democracy and freedom in Tamilnadu, and indeed the whole country”. Justice Katju wrote a letter the following letter to the President of India. It is not only Article 19(1)(a) of the Constitution but also the International Covenant of Political and Human Rights, which India ratified in 1979, which guarantees freedom of speech and expression to all citizens. Of course this right, like all rights, is not absolute, but is subject to certain restrictions mentioned in Article 19(2).. But as held by the Supreme Court in Sri Indra Das vs. State of Assam ( see online ) , it is only when there is an imminent threat of violence etc ( the clear and present danger test of the celebrated Justice Holmes of the U.S. Supreme Court ) that the right can be interfered with. What was Kovan's fault ? He had not committed violence or done anything which posed any imminent threat of violence. He had only demanded closing of liquor shops as he thought that drinking of alcohol did damage to society, and had criticized Jayalalitha's government on other accounts. Can one not do so in a democracy ? Kovan was reportedly arrested for writing two lyrics ' Moodu Tasmac Moodu ' which are critical of alcoholism and the state policy of liqour sale. The lyrics state that the CM is rejoicing at ‘Poes’ — her residence is at Poes Garden — while people are dying due to liquor consumption. It also refers to the apparently contradictory situation in the state where one can get an idli for Rs 1 but is forced to spend lakhs on education. It also alleges that the main source of liquor shops in Tamil Nadu is Midas — a distillery company with alleged links to Jayalalithaa’s aide Sasikala — and that the closure of liquor shops would affect their future. I am myself not in favour of prohibition, as experience of Prohibition in America in the 1920s has shown it increases crime ( the Mafia ). But surely people have a right to express their opinion. If anything therein is defamatory then a case of defamation could have been filed against Kovan, but there was certainly no warrant to slap sedition charges against him.. There is of course Article 356 of the Constitution which provides that If the President is satisfied that the government of the State cannot be carried on in accordance with the provisions of the Constitution, he may dismiss the state government and assume to himself all or any of the functions of the Government of the State. Under this provision, the President can send a warning to Jayalalitha telling her that she is violating the Constitution, and hence she should release Kovan immediately and unconditionally and drop the trumped up charges against him, failing which her government may have to be dismissed. In my opinion Your Excellency should excercize your power under Article 355 immediately and send her a stern warning that she is acting unconstitutionally. Every moment of Kovan's detention is an outrageous violation of Article 19(1)(a) of the Constitution. If such despotic acts are not nipped in the bud there may be a collapse of democracy and freedom in Tamilnadu, and indeed the whole country.